Town in Galicia, known as one of the principal seats of the Council of Four Lands. 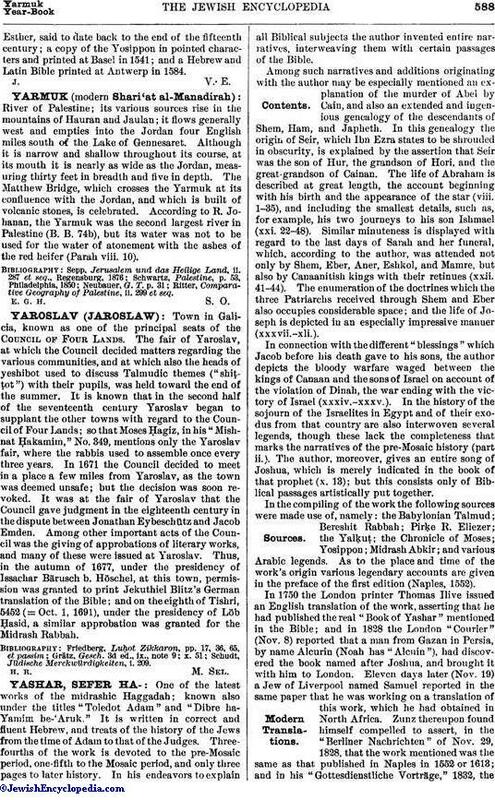 The fair of Yaroslav, at which the Council decided matters regarding the various communities, and at which also the heads of yeshibot used to discuss Talmudic themes ("shiṭṭot") with their pupils, was held toward the end of the summer. It is known that in the second half of the seventeenth century Yaroslav began to supplant the other towns with regard to the Council of Four Lands; so that Moses Ḥagiz, in his "Mishnat Ḥakamim," No. 349, mentions only the Yaroslav fair, where the rabbis used to assemble once every three years. In 1671 the Council decided to meet in a place a few miles from Yaroslav, as the town was deemed unsafe; but the decision was soon revoked. It was at the fair of Yaroslav that the Council gave judgment in the eighteenth century in the dispute between Jonathan Eybeschütz and Jacob Emden. Among other important acts of the Council was the giving of approbations of literary works, and many of these were issued at Yaroslav. Thus, in the autumn of 1677, under the presidency of Issachar Bärusch b. Höschel, at this town, permission was granted to print Jekuthiel Blitz's German translation of the Bible; and on the eighth of Tishri, 5452 (= Oct. 1, 1691), under the presidency of Löb Ḥasid, a similar approbation was granted for the Midrash Rabbah. Schudt, Jüdische Merckwürdigkeiten, i. 209.